No pictures found for plate number BBE8214 in Washington, United States. click here to add a picture. No videos found for plate number BBE8214 in Washington, United States. click here to add a video. 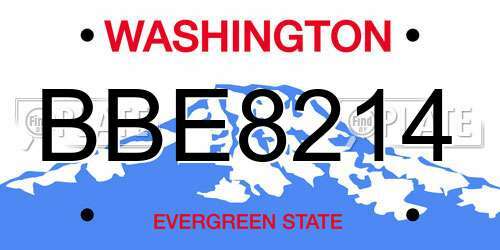 No owners found for plate number BBE8214 in Washington, United States. click here to add an owner. No related websites found for plate number BBE8214 in Washington, United States. click here to add a related website. Mazda will notify owners, and dealers will replace the front passenger side air bag inflator with an alternate inflator, free of charge. The recall began October 4, 2017. Owners may contact Mazda customer service at 1-800-222-5500. Mazda's number for this recall is 1317F. Note: This recall supersedes recall 17V-012. 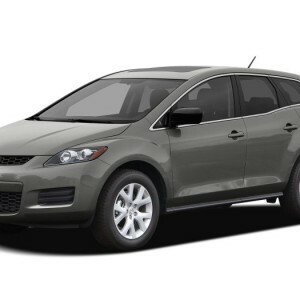 Mazda North America Operations (Mazda) is recalling certain 2009-2011 Mazda6, and 2007-2011 CX-7 and CX-9 vehicles. These vehicles are equipped with certain air bag inflators assembled as part of the passenger frontal air bag modules, and used as original equipment or replacement equipment. In the event of a crash necessitating deployment of the front air bags, these inflators may rupture due to propellant degradation occurring after long-term exposure to absolute humidity and temperature cycling. Mazda will notify owners, and dealers will replace the passenger frontal air bag inflator with an alternate inflator, free of charge. The recall began on August 30, 2017. Owners may contact Mazda customer service at 1-800-222-5500. Mazda's number for this recall is 1317F. Note: This recall supersedes recall 16V356 and all vehicles that were not remedied under that campaign are now covered by this one. THIS RECALL ONLY PERTAINS TO THULE AFTERMARKET ROOF MOUNTED LOAD CARRIERS AND HAS NO RELATION TO ANY ORIGINAL EQUIPMENT INSTALLED ON THE LISTED PASSENGER VEHICLES.OWNERS MAY ALSO CONTACT THE NATIONAL HIGHWAY TRAFFIC SAFETY ADMINISTRATION'S VEHICLE SAFETY HOTLINE AT 1-888-327-4236 (TTY 1-800-424-9153), OR GO TO <A HREF=HTTP://WWW.SAFERCAR.GOV>HTTP://WWW.SAFERCAR.GOV</A> .